Are you looking for short and spectacular trek near Pokhara Valley? Australian Camp Trek has been specially designed to make your stay in Nepal a very memorable and thrilling experience. This Trek offers stunning views of the pothole lake city and panoramic view of Annapurna Himalayan ridge Such as Fishtail(Machhapurchhe), of Annapurna South, Hiunchuli, Machhapuchhre and Lamjung Himal etc. This trek is suitable for all kind of age group. The astonishing trek passes through Hyangjakot and Dhampus Village, the latter of which is the most photographed village in Nepal. You will also visit the beautiful city of Pokhara, which can be called Switzerland of Nepal famous for its beautiful mountains and lakes. The Australian alp is situated at the elevation of 1885 meters above from the sea level. All around the year ie. Autumn, Spring, Monsoon, and Winter is considered as the best season to do Australian Camp trek. Day 1: Drive from Kathmandu to Pokhara (914m.) takes about seven hours. Day 1st: Drive from Kathmandu to Pokhara (914m.) takes about seven hours. The ethereal beauty of Pokhara valley is our today`s attraction. After breakfast, we will drive for 7 hours by tourist bus before reaching to lake city Pokhara. 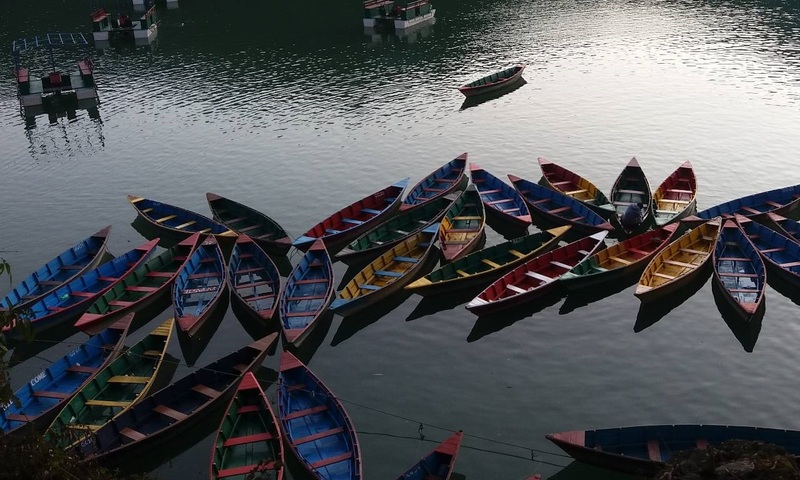 Pokhara is the tourist&rsquos paradise with full of natural as well as cultural heritage sites such as lakes, caves, Buddhist and Hindu temples along with the magnificent views of mountain cliffs. Overnight stay at Hotel. A stunning camp Australian is our set itinerary for this day. After breakfast, we set off from hotel to Pedi. Pedi is our real trekking point for this trip. The trails to Australian Camp leads through amazing Gurung village influenced by Tibetan society. The camp is located at about 1880 meters above from the sea level. 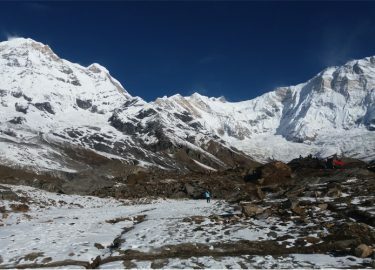 From here, one can have excellent panoramic views of mount fishtail and south Annapurna from a very close distance overnight in camp. 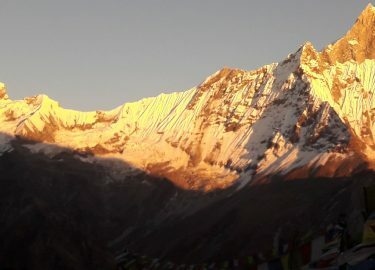 Early in the morning, we wake up to see mind-blogging sunrise view on the alp of hanging snow-capped cliffs. After breakfast, we start our trek to Phedi to take 30 mins scenic drive to Pokhara. The journey to Phedi following through traditional but unique Gurung village. Overnight at Teahouse. Our today`s journey leads through Damauli, Dumre, Muglin, and Kurintar, where Nepal first cable car joins the Manakamana Temple. From Naubishe you climb up to Thankot, the gateway to the capital city of Kathmandu. After collecting wonderful memories from Australian camp trek, your trip will conclude from the capital city Kathmandu. Overnight stay at Hotel.